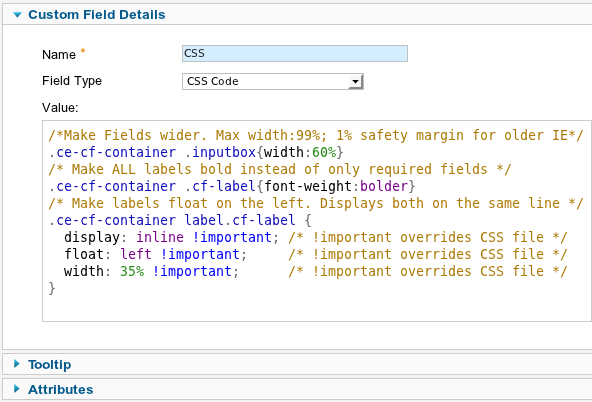 CSS - Ideal Extensions for Joomla! 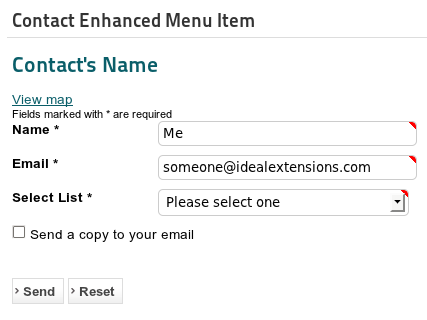 You can add any CSS code to a page where a Contact Enhanced form is published. Please do not confuse this Custom Field with the Attributes Field of every Custom Field where you can add the style="" attribute. 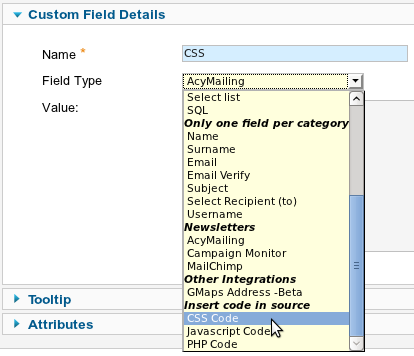 Choose a category for your Form Field, then Save the changes. The image on the right is an example of how CSS can change the form layout.